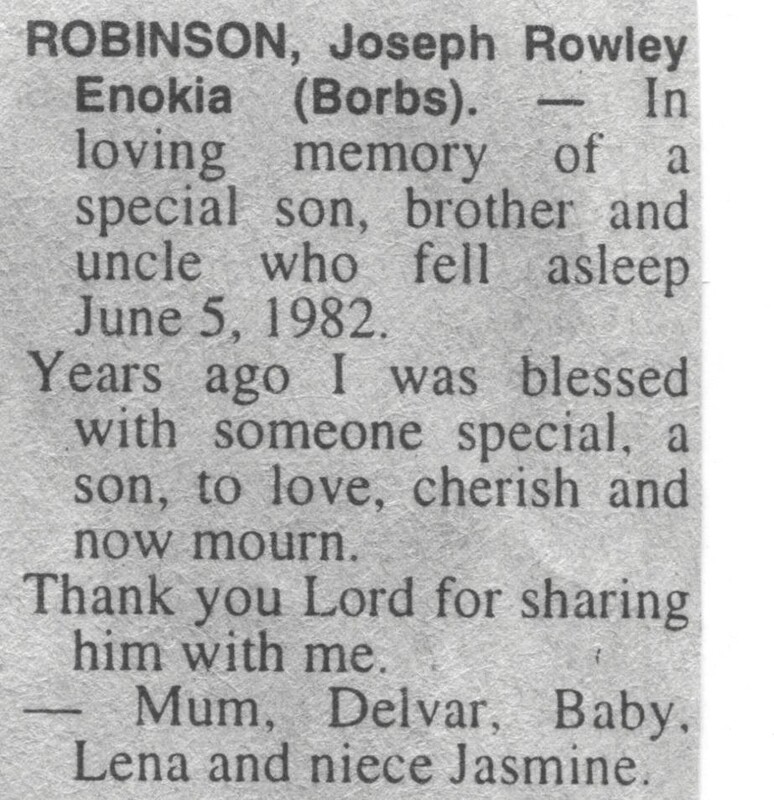 In loving memory of a special son, brother and uncle who fell asleep June 5, 1982. Years ago I was blessed with someone special, a son, to love, cherish and now mourn. Thank you Lord for sharing him with me. Mum, Delvar, Baby, Lena and niece Jasmine.